It goes back to when writing tools weren’t invented — people would draw and sculpt on walls and rocks, resulting in art in caves. 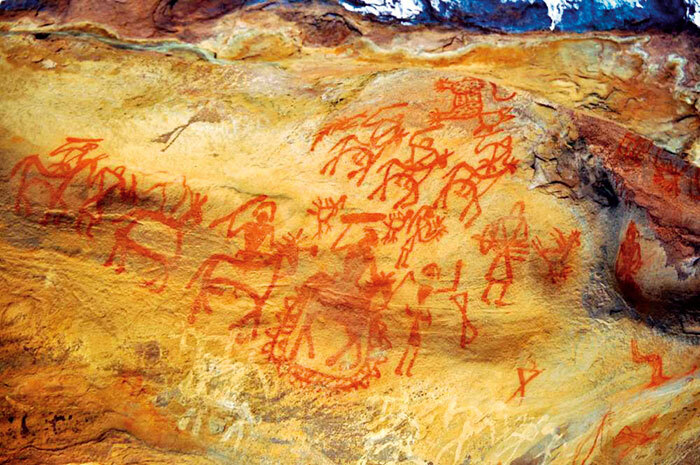 The Bhimbetka Rock Shelters in Madhya Pradesh have paintings of animals that are apparently over 30,000 years old, in earthy colours of green and dark red. Moving ahead in time, the Ajanta cave paintings of the eighth century tells stories of Buddhism. Since people rarely live in caves today, they’ve graduated to creating frescos and graffiti on walls around the world. 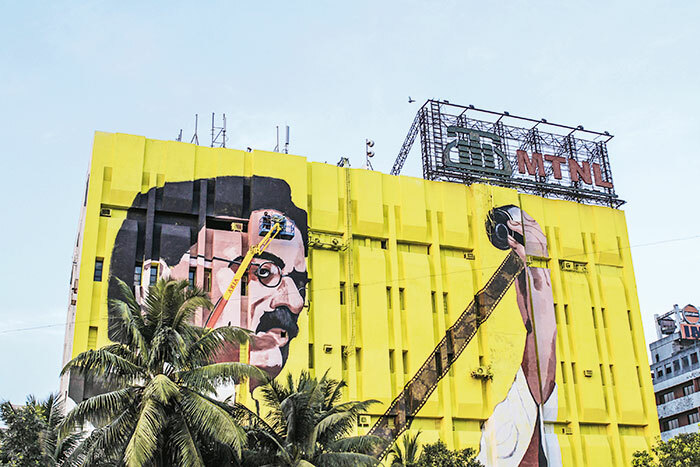 Wall art in public spaces is a common sight, so don’t be surprised with the giant illustration of Dadasaheb Phalke in Bandra (Mumbai), or the colourful walls of Delhi’s Khan Market.